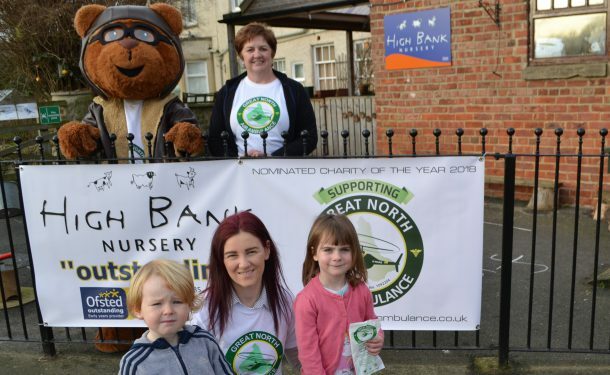 High Bank Day Nursery has chosen the Great North Air Ambulance as its charity of the year for 2018. The charity was chosen following a vote by parents and staff. And we are now busy planning the events we hope will exceed the £2,000 we raised for our first-ever charity of the year in 2017, Herriot Hospice Homecare.